The first three dishes have strong connections with Italy. I have had such delicious food on many Italian holidays. 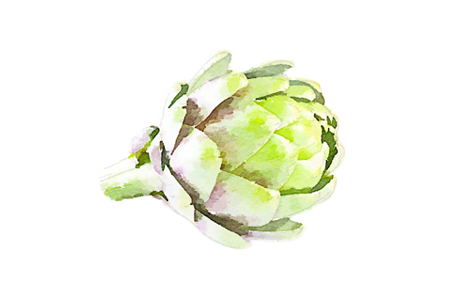 So often the dishes were simple, designed to celebrate just one ingredient, as with the artichokes and sardines in two of the dishes in this menu. This menu is perfect on a warm day when you can eat outside. These crunchy morsels are the speciality of the Trastevere quartiere of Rome. Young artichokes are opened out like a flower and fried till crisp. They need plenty of good clean olive oil to be successful and I like to cook them outside in a wok or heavy pot on the barbecue so the smells stay outside. American rather than Italian but always well-received. There must be plenty of strawberries!